"If you are looking for someone to do your landscaping you should should look no further than Gopher Landscaping and Irrigation. I have been using them for quite a long time and I have nothing but good things to say. I really like the way they do such a great job whether it's mowing your grass, planting trees, or general landscaping, they are first class. They also do such a great job on plowing the snow. Having been President of a big HOA, they're always spot on with scheduling and their clearing of the streets. I have to give them a 5 star recommendation." 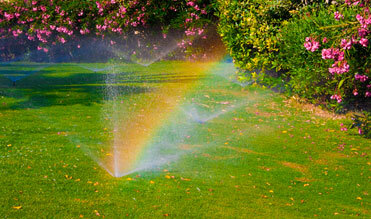 Gopher Irrigation and Landscaping is a full service landscaping company located in Glenwood Springs, Colorado. We offer the following: irrigation, sod, seeding, tree and foliage planting, mulch beds, retaining walls, landscape lighting, pavestone and flagstone patios, wildflower gardens, fencing and more. We provide a custom designed landscape that fulfills your needs and will fit within your budget. Our support staff and unsurpassed industry leading warranty will give you the reassurance that our work is top notch. A customer base that we have built and maintained throughout the years will give you confidence to Go with Gopher! Spring Clean-Up time is here. 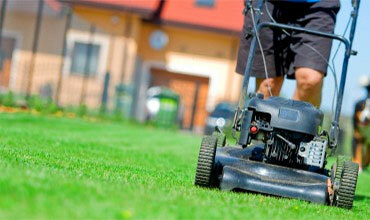 Give us a call for all your clean-up needs....We fertilize too! You can count on us for fair and reasonable rates.